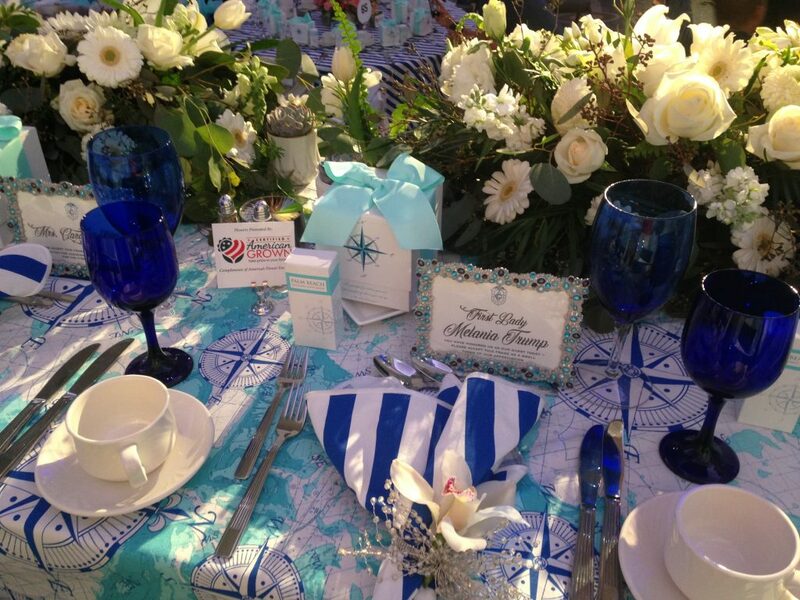 This year’s First Lady’s Luncheon, hosted annually by the Congressional Club, was an all American Grown Flowers affair. In support of Certified American Grown Flowers’ sponsorship of the event, flower farmers shipped over 18,000 stems of beautiful domestic flowers to a team of over 20 volunteer professional floral designers led by Kelly Shore of Petals by the Shore, Christy Hulsey of The Colonial House of Flowers and Margaret Lloyd of Margret Joan Florals. This year’s lead designers, (pictured left to right) Kelly Shore, Margaret Lloyd and Christy Hulsey. 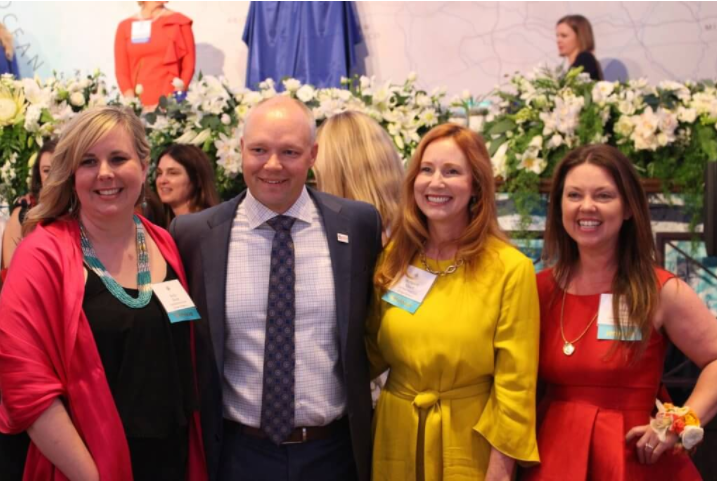 The sponsorship led to a meet and greet opportunity with first lady Melania Trump where Diana Roy of Resendiz Brothers was able to speak with the first lady and encourage the White House to adopt an all American Grown Flower policy. The request was reiterated by the Congressional Club’s Chair of the First Lady’s Luncheon Committee who took a moment during her remarks to acknowledge all of the beautiful American Grown Flowers and asked that “everyone, including the White House, support American Grown Flowers.” The request from the podium was met with resounding applause. 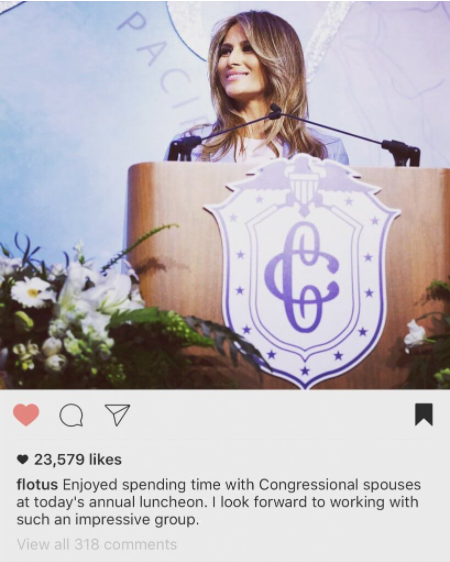 The official Instagram post from @Flotus included a shot of the beautiful American Grown Flowers on the head table. 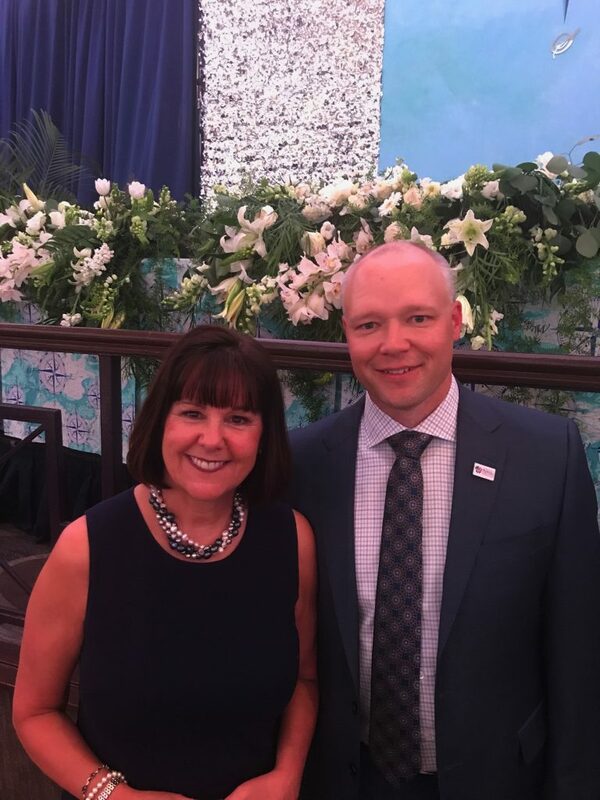 Roy and Kasey Cronquist, ambassador for Certified American Grown Flowers, also spoke with second lady Karen Pence who encouraged them to follow up with a letter to her requesting support for an all American Grown White House. It was an honor to meet second lady Karen Pence. Both Roy and Cronquist noted that the day’s events made them very hopeful about the possibility that the day may come soon when the flowers at the White House are all American Grown. 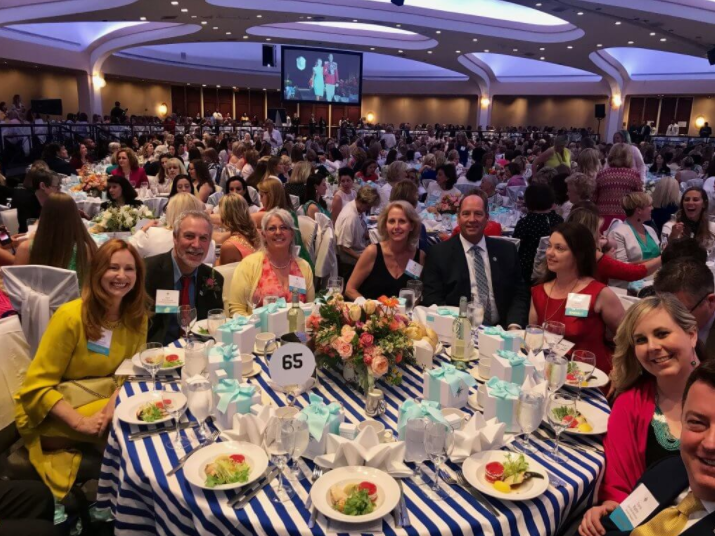 Tim Dewey and DV Flora helped organize flower shipments to D.C., and David Armellini of Armellini Logistics sponsored movement of the flowers to the East Coast. Potomac Floral Wholesale helped with the last mile delivery. Margaret Hofland of Accent Decor and Smithers-Oasis also generously supported the event. Certified American Grown had a wonderful group at our table during the luncheon. Pictured left to right is Margaret Lloyd, Kurt Weichhand, Beth VanSandt, Diana Roy, Rep. Ted Yoho, Christy Hulsey, Kelly Shore and Travis Rigby. The event was not only beautiful and well-received by guests, it helped make significant inroads in bringing the origin matters message to Washington, D.C.